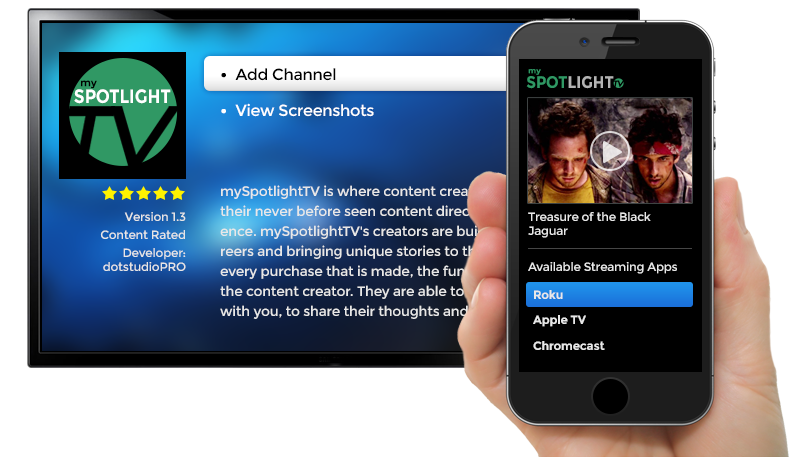 dotstudioPRO's mobile SDK gives viewers app discovery and universal casting to any streaming box or smart TV. Accelerate your viewership in the TV app world Studies have shown that 10 times more engagement happens on TV vs Mobile. Increase engagement with your content and allow your viewers to send content through a mobile application (on a smartphone or tablet, for example) directly to a connected television, solving one of the biggest challenges in promoting your TV app. Our mobile SDK Transforms your mobile app into a TV aware launch point for viewers. Launch a fully customized mobile app. No tech required. Get started with our team today. Remove the friction of selling content by using iTunes purchasing or our intuitive in-app purchasing system powered by Braintree. Track your monetization, video and channel views as well as who your customers are. 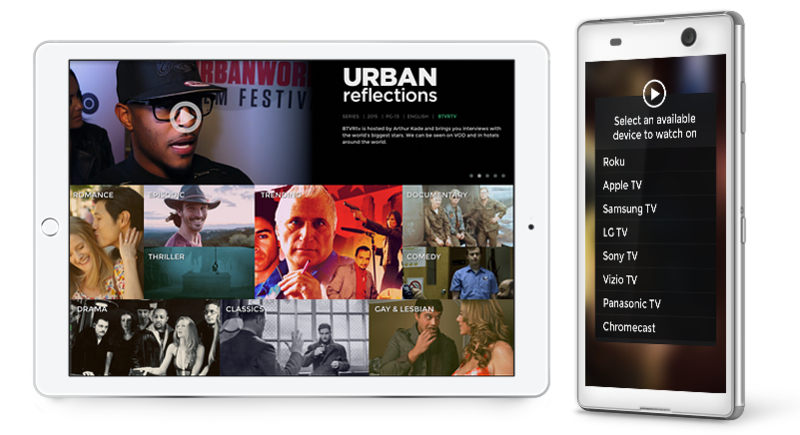 Stream live event content as well as live linear content directly through a mobile device. We provide a 70/30 revenue split (70% to you) on programattic video ads though our ad exchange partners. Just schedule your pre, post and mid rolls and start monetizing.